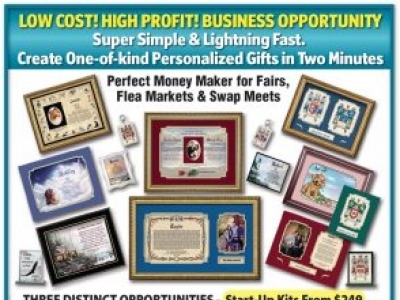 High-Profit Personalized Gifts Your Customers will Absolutely Love. PERSONAL TOUCH Gifts. Provide high-profit personalized items and keepsakes that your customers will absolutely love. Low-cost gifts take two minutes to create using your computer and Personal Touch Software. Fun & rewarding from home or retail. Create wealth while having a life. Simple system that you can follow to make money immediately from home. Free information.